To View, Click Button Below. Protestantism is a very marginal minority in France, numerically less than 2 per cent of the total population. France Mission estimates there are 1,700,000 Protestants in France and 600,000 evangelicals. The first figure seems generous. People can say they are Protestants just because they are not Catholics. They sympathise with the Protestant minority because they take them to stand for freedom of conscience and tolerance. In the second half of the 20th century, the Roman Catholic Church ‘lost’ France, with religious practice and christenings plummeting. In spite of that, Catholicism is still a cultural heavyweight in society, and, if you say you are ‘Christian’, that will be understood as Roman Catholic. During that same period, mainline Protestant churches suffered a comparable decline, undermined by secularism and ecumenism. In this sense, the Protestant minority in France adapted too well to the majority, both social and religious, and in so doing lost its soul through compromise with humanism or Catholicism. Loss of doctrinal identity and the absence of a clear message constitute a menace to the survival of traditional Protestant churches, both Lutheran or Reformed. Conformity to social pressures has recently led the major historic Protestant church (United Protestant Church, formerly Reformed Church of France, ERF) to adopt ‘marriage for all’, including for the ministry. In the last half century, by contrast, evangelical churches have been growing in an encouraging way. Forty years ago, I attended the annual convention of evangelical churches (Centre Evangélique) at Nogent, near Paris. About 60 attended. This year, up to 2000 are expected. The theme is ‘Taking the Scripture at its word’. Another instance: last Spring, the Bible Institute in Geneva (IBG) organised a meeting of the French Gospel Coalition, with headline speakers from the USA. 700-800 attended, most of them young people who enjoyed singing Townend and Getty in French. The National Council of French Evangelicals (CNEF), founded in 2003, reckons that, of the 2,068 evangelical churches it lists in France, about half were planted in the last 30 years. I have heard that there is about one new church a week, but have no way of verifying this information. So what are the reasons for these surprising developments? One reason is the existence of the CNEF itself, which, in 2016, is composed of 30 different evangelical denominations, plus a number of para-ecclesiastical works. It includes Pentecostal and Charismatic churches, as well as more traditional evangelical groups. Obviously there can be tensions on the local level, but the CNEF exists to protect the interests of the evangelical minority in the public square. It has various departments, including commissions for legal affairs, ethics, church planting and work in prisons. Today there are more people attending churches associated with the CNEF than attending the pluralistic churches belonging to the French Protestant Federation (FPF). The latter organisation has historical pedigree, intellectual clout, influence in high places, but the churches it represents have little interest in biblical faith, and their reference to the Reformation is sadly more one of historical ancestry than theological conviction. Evidently, the FPF has a rather jaundiced view of the rise of evangelical Christianity in France, which they consider ‘fundamentalistic’. Another reason for the growth of evangelicalism has been the influx of migrants, largely unchecked in France over the last few decades, and this, of course, is seen also in the rise of Islam in housing zones. Many of the new communities have strong ethnic ties and their own way of worship. 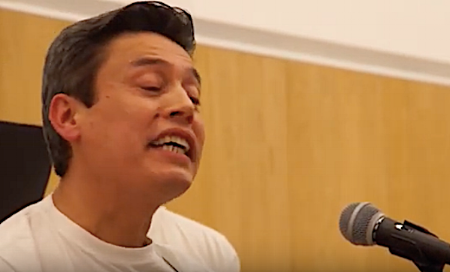 Recently, I preached in Angers, in the Loire valley, at a Baptist church, to a congregation of about 30, which was something like the ‘United Nations’, with a minority of indigenous French. This is a common experience. Another reason contributing to this growth has been the appreciable impact of foreign missionaries, not only from the EU and America, but more recently from Africa, the Caribbean and even Korea, sometimes working alongside French pastors. France remains a mission field. It is rather a pity that in ‘perfidious Albion’*, as it is called on the other side of La Manche (English Channel), there is only mild interest for, or knowledge of, our closest neighbour. Fifty years ago in the francophone world, there was relatively little in the way of biblical literature. Evangelical publications, with a few exceptions, such as books by J. I. Packer and John Stott, were of the personal testimony kind. Today there is an abundance of worthwhile books, both theological and practical, and those who want to grow spiritually can find what they need. Europresse and Excelsis have made valuable contributions, the latter producing fine commentaries and theological dictionaries. Often the material is translated from English, and there is no difficulty finding books in French by Sinclair Ferguson, Tim Keller, Stuart Olyott or John Piper, as well as some you would not wish to find. But there is also a new generation of French writers. Calvin’s Institutes were published in modern translation for the first time in 2009 (as the old French was unreadable for most) and a compendium spun off a couple of years later. It sold well to Roman Catholics, I believe. But some evangelicals are strangely wary of Calvin. However, in spite of numerous publications, French publishers complain of poor sales. This probably results from suspicions about ‘theology’, which some evangelicals associate with liberalism; and also because they find it convenient to cultivate a dichotomy between faith and life, as in a highly secular society it is comfortable to do so. Finally, recent years have seen the impact of francophone Bible colleges and seminaries, with an increasing numbers of students. The latter are the Evangelical Faculty (FLTE) at Vaux-sur-Seine near Paris, and the Jean Calvin Faculty (FJC) in Aix-en-Provence, near Marseilles. At Nogent-sur-Marne, near Paris, there is a Bible college; in Geneva there is the Institut Biblique; as also in Brussels there is the Belgian Bible Institute, which has renewed vigour. There is talk of a new seminary being launched at Vevey in Switzerland, on the site of the Emmaus Bible Institute, but some doubt the need for it considering the choice available. What are the great needs of the churches today? In spite of many encouragements, the great need is Bible-rooted churches, with preaching that brings solid exposition and practical application. Whatever the training institutes do, they do not seem to train preachers; models of what biblical ministry could be are in short supply. Too many sermons are homilies or performances — entertainments short or long. Anyone can see that by looking on the number one ‘evangelical’ website, TopChrétien. Two dangers lurk. The first is the rise of neo-evangelicalism, often from transatlantic influences, with a low view of Scripture, adherence to theistic evolution and challenges to biblical atonement. The other is that of extreme Charismatic influences, also from abroad, with practices that are strangely animistic. The internet promotes such fads. Fifty years on there is much to enthuse about, but more to pray for. Kim Tran is the multi-talented Directeur (head of operations) of the Faculté Jean Calvin seminary in Aix-en-Provence, France. He kindly provided a marvelous video performance of a French Christmas song. Click on Quand Dans La Nuit. To view the lyrics and translation, click here. Thirty years ago this month, I moved to Aix-en-Provence, France to serve as Parish Assistant in the Evangelical Reformed Church, just off the Cours Mirabeau, the beautiful main street of Aix. Parish Assistant is a fairly catch-all term for what my ministry involved – Bible studies, work with the youth and Sunday School, hospital visits, editing the church newspaper, visits to shut-ins and a variety of other activities. What rich, formative years those were! I was privileged to work with Christian Almeras, a French pastor who was himself a graduate of the Reformed Seminary (now John Calvin Seminary) and had over 20 years of pastoral experience. Those were wonderful years of learning about various aspects of church work in the French context, the culinary delights of a church picnic in the beauty of the Provençal countryside, the diligent labors of a Board of Elders providing servant leadership to the Body, and a continual awareness of the secular nature of France and the need for people to hear words of Truth, bringing the Hope of the Gospel. 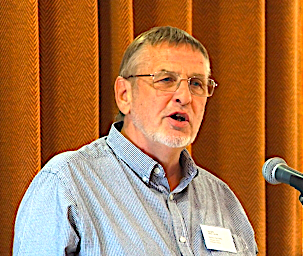 The close connections between our church and the seminary provided multiple avenues for collaboration with John Calvin Seminary during those formative years – auditing a class on Practical Theology, the church choir having rehearsals in the seminary classrooms, many students participating in activities in the church, and collaborating with professors and spouses on Sunday School material, hospital visits and the church newspaper. What a blessing to see that those seminary students 30 years ago are now the pastors providing senior leadership in that same denomination in which I served. Those 5 1⁄2 years serving as a single in Aix accentuated for me the incredible need for well-trained pastors, able to provide strong leadership for the Church in France. 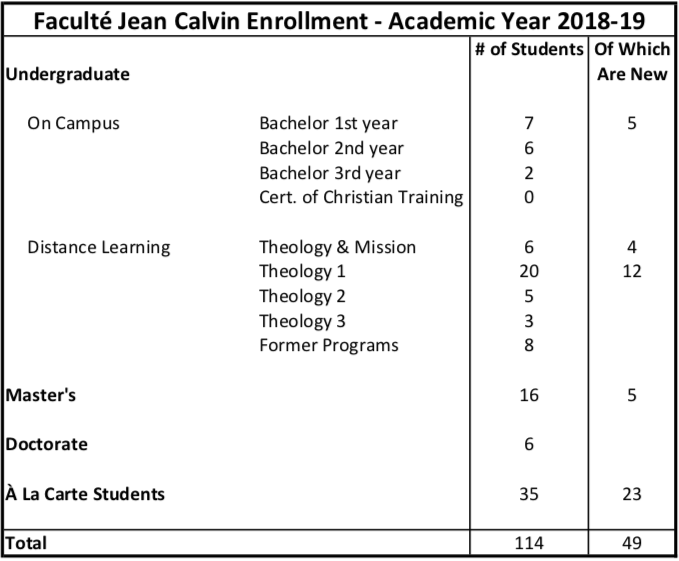 Although I wasn’t officially connected to the ministry of John Calvin Seminary, I saw first-hand how the seminary graduates had a vital role to play in what God was doing among the French people. An additional (though not minor!) blessing of my time in Aix was that it was there that I met my Canadian husband who was serving with another mission agency. We were married in that beautiful, historic church off the Cours Mirabeau, and we had our stand-up reception in the gardens of the seminary. No wonder my heart holds a special place of fondness for Aix and John Calvin Seminary! When our family moved to the Philadelphia area in 2007, I was delighted and honored when Bill Edgar, President of the Huguenot Fellowship, invited me to join the Board of the Fellowship. The Edgars and I had been part of that same church in Aix, and shared many wonderful memories together in the context of both the church and the seminary. 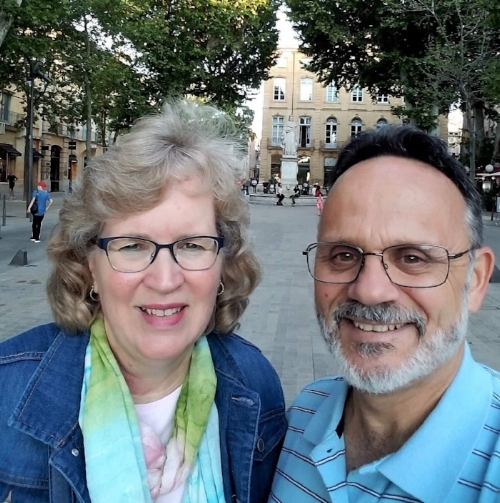 Serving on the Board has provided a venue for combining my heart burden for the French people and the work of John Calvin Seminary, producing well-trained, servant leaders for the Church in France. France needs what the Seminary provides – solid theological training for future leaders in the Church. Will you join with us to encourage and support the work of John Calvin Seminary?